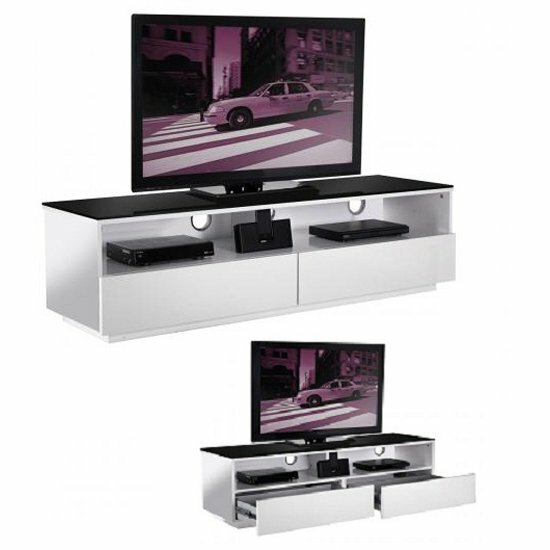 If you go with black glass coffee table and TV stand, you have a perfect opportunity to contrast some of your lighter furniture arrangements. These units will also look good in combination with light walls, accessories, or floors. On the whole, a smaller amount of black furniture units is great for creating contrast, and they long have been used in interior decoration with this particular purpose in mind. At the same time, if you choose only one black item, it might not be enough for the contrast to be impressive. 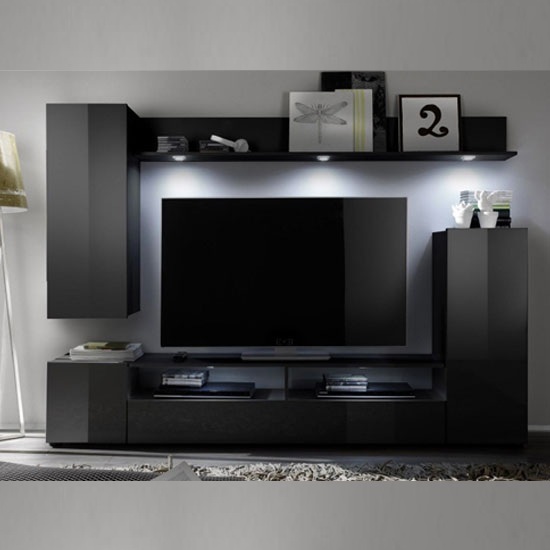 That is why a combination of black glass coffee table and TV stand is an astonishing idea – both units will look perfectly in tune together, providing a stylish and contrasting relief in light living room interior. Glass is one of the most neutral decorative materials in the furniture market, which means that if you have both a glass coffee table and a TV stand, there will be no need in buying any additional furniture units to match the picture. Black, quite logically, is quite neutral, and if you have at least two black furniture items in your room, the rest of them can feature any other color you have in mind. Tempered safety glass is a very durable material, which is family-friendly. Even if you have kids – no need to worry, tempered glass is more difficult to damage than you may think. 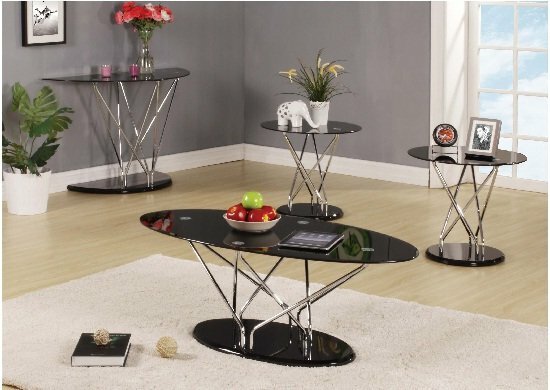 Yet, one of the major reasons of going with black glass coffee table and TV stand is that glass does not require any special maintenance. Unlike wood, that needs to be polished from time to time, or MDF, that requires very dry environment, glass is easy to clean and is 100% resistant to moisture.